Named after an early property in the area, Meridan Plains is part of a rapidly developing residential area approximately eight kilometres west of the Caloundra CBD. Consistently one of Henzells top-selling suburbs, buyers are attracted to the area for its affordability, family appeal, facilities and proximity to town. Meridan Plains and the surrounding area offer numerous parks as well as recreational facilities and lakes to maximise the Sunshine Coast’s famous outdoor lifestyle. The quiet and spacious suburb also benefits from being close to highways, shops, beaches, schools and medical facilities. 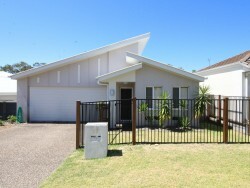 Current Rental Properties Available In "Meridan Plains"
FAMILY HOME CLOSE TO PARK! Current Properties For Sale In "Meridan Plains"